This is a feature of the Minerva Website which will bring you up to date on news, events and Charity work the Lodge is supporting. 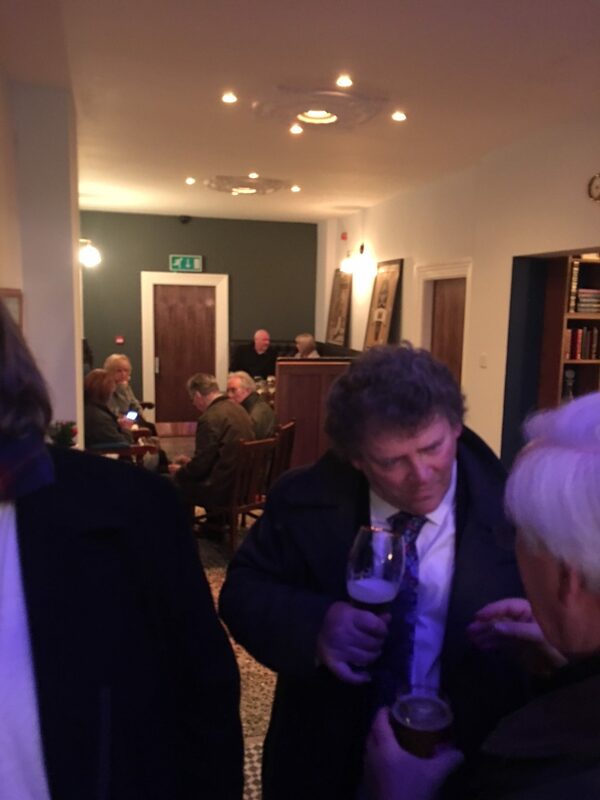 January 2018 – Minerva elections & UGLE setting the record straight! Minerva chose its Master Elect for the ensuing year to be W.bro. Jack Poller, a stalwart of the lodge and deserved successor to W.bro Alan Ritchie. 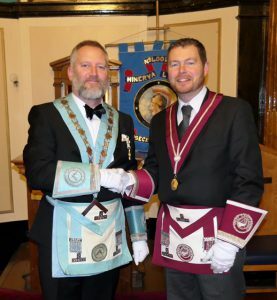 W.bro Jack has shown great commitment and flexibility throughout the year, often stepping in to different offices within the lodge at very short notice. We look forward to his upcoming installation in February. December 2017 – Christmas and New Year Event! 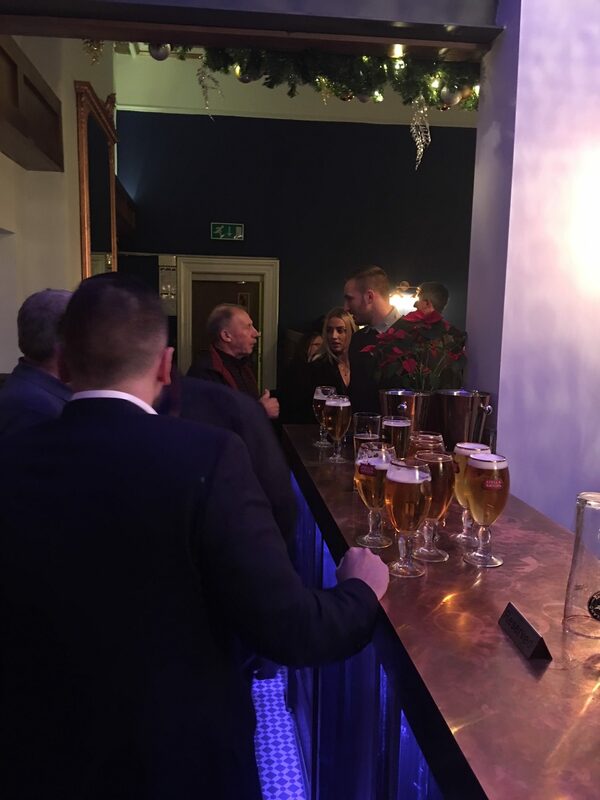 Brethren, their families and friends were invited to the Masonic Bar at Liverpool Masonic Hall Hope St Liverpool on the 28th December 2017 for a special event to celebrate the festive season together. November 2017 – Masonic Bar opens to the public…. 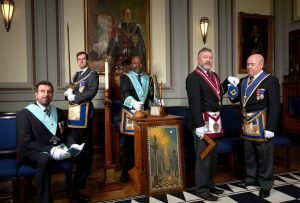 October 2017 – All quiet in Minerva but celebrations at the Royal Albert Hall for UGLE’s 300th Anniversary! May 2017 – Double Provincial honours for Minerva! 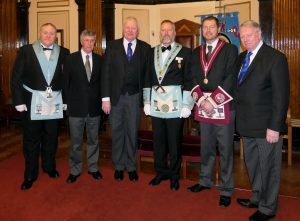 Minerva Lodge had 2 members honoured this year by the Province, which included a new appointment to the acting rank of Provincial Grand Steward for Wbro Martin Farmer and a promotion to Past Provincial Senior Grand Deacon for Wbro Gordon Farmer. 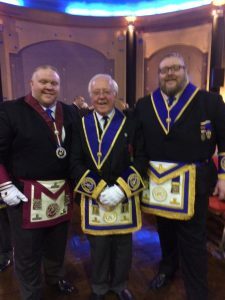 The real life brothers went to Winter Gardens in Blackpool, supported by their father Wbro Bob Farmer, to attend Provincial Grand Lodge and be invested with their respective collars by the Provincial Grand Master himself. Minerva Lodge has been fortunate in having this be the third time in recent years that a member has been appointed to the coveted rank of Provincial Grand Steward. 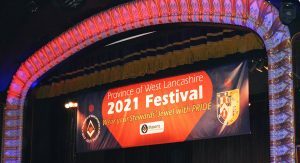 Only 10 Provincial Grand Stewards are appointed each year out of the entire West Lancashire Province, the largest province in English Freemasonry. Provincial Grand Lodge had almost 1500 Freemasons in attendance for the ceremony and the official launch of the 2021 Masonic Charity Fund Festival. 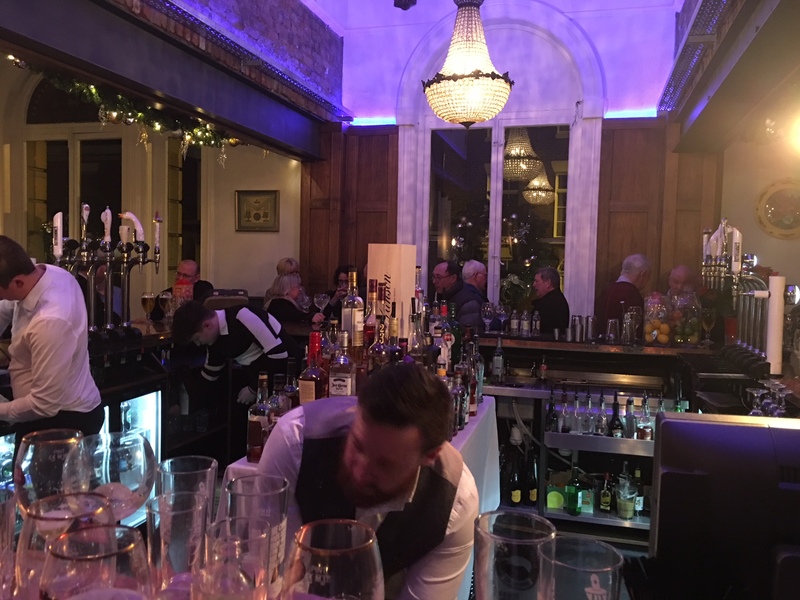 A collection was then taken in support of the Festival which raised the wonderful total of £5,372. 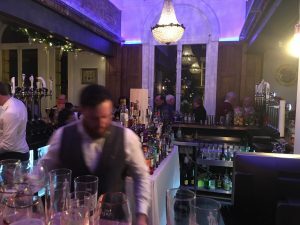 The event was followed by a celebrants banquet with nearly 1000 brethren dining afterwards in the Empress Ballroom. 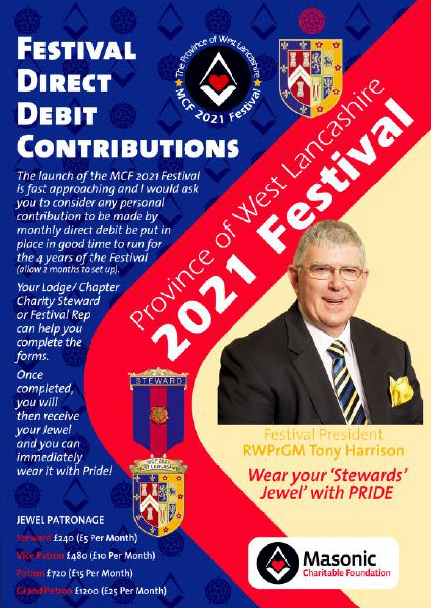 The Worshipful Master and brethren were pleased to receive a presentation from Provincial guest Wbro Barry Fletcher on the launch of the new Masonic Charity Festival 2021 for the province of West Lancashire. At the heart of the fund raising for the 2021 festival are lodge donations (utilising the gift aid scheme wherever possible), various fundraising events and the new festival jewel (pictured above). 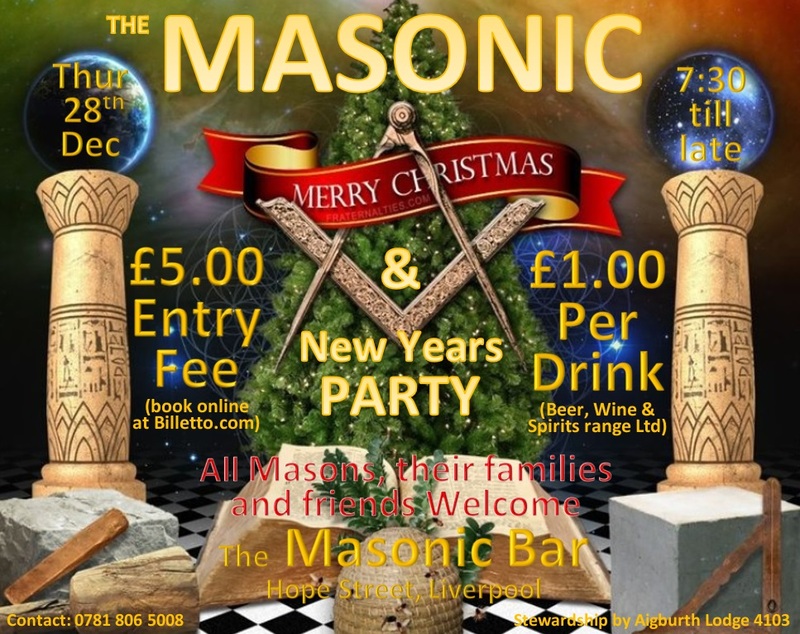 The Worshipful Master began his year in office with the first of many donations Minerva Lodge is planning to support the festival and a number of the members had already purchased their festival jewels and wore them with pride. For more information on the MCF 2021 Festival click here. 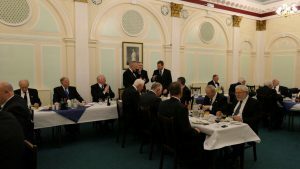 After the informative speech, the members enjoyed a nice meal at the festive board for the last time before the summer break. The WM wished everyone a happy summer break and is looking forward to the Masonic season starting again in October. March 2017 – Signs of the times…. 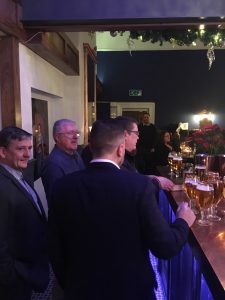 On the first night of the new team under Worshipful Master Alan Ritchie’s leadership, the Worshipful Master did an excellent job of leading by example. As the night progressed, the Director of Ceremonies gave an explanation of Masonic signs for the development of Masonic knowledge of the brethren. 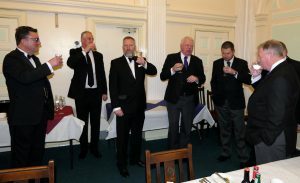 The lodge finished with a lively and enjoyable festive board. February 2017 – Valentines Day Installation! 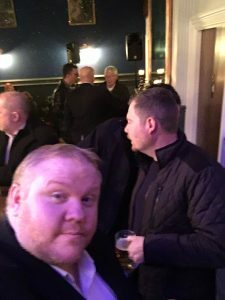 Minerva Lodge No 4002 held their Installation Meeting at Liverpool Masonic Hall on Tuesday 14th February 2017. 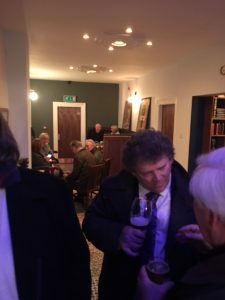 The Installation was very well attended by members and visitors alike. Master Elect, Bro Alan Ritchie, was duly and masterfully installed into the chair by the previous Worshipful Master, WBro Justin Lewis. 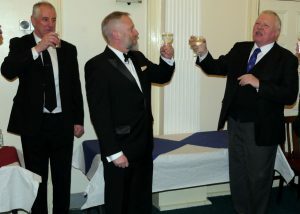 The working tools were delivered excellently by the installing master, WBro Roger Kilshaw and Bro Steve McBride. 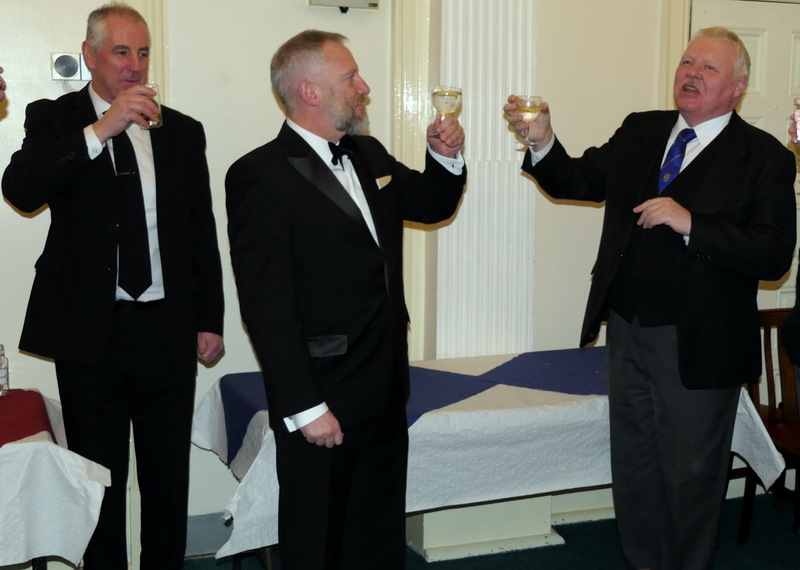 The Worshipful Master appointed his officers for the ensuing year and invested them with their respective collars. Visitors included WBro Paul Sheridan Shepherd, the Representative of the RW Provincial Grand Master (pictured with the new WM above) accompanied by Wbro Bob Povall Group Chairman and Other Officers of Grand & Provincial Grand Lodge. The new Worshipful Master had the pleasure of donating monies to charitable causes on behalf of the brethren, which included donations to the Liverpool Women’s Hospital Charity, a cause close to the heart of the new Worshipful Master. The evening was rounded off by an excellent festive board that was enjoyed by all. The brethren and officers of Minerva very much look forward to the coming year, which is extra special being the Tercentenary year of the United Grand Lodge of England, and wish the Worshipful Master Alan Ritchie a very enjoyable year in the chair. January 2017 – A Happy New Year! 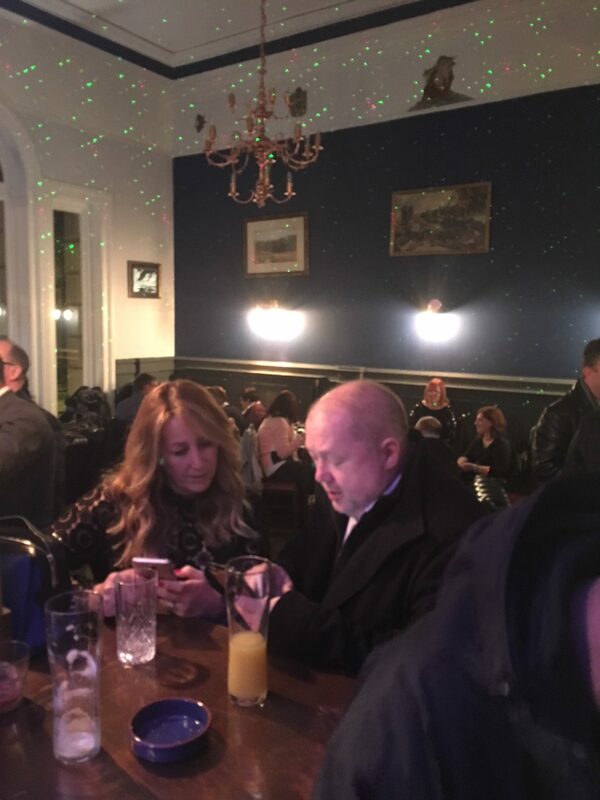 and a New Master Elect…..
January’s meeting kicked off with warm wishes from our Worshipful Master Bro. Justin Lewis for a prosperous New Year in 2017. The Lodge then got back to business and elected the Master Elect for the ensuing year, and that honour went to none other than our Senior Warden, Bro. Alan Ritchie. Bro. Alan has family ties to Minerva, who have served as Masters in the past, and is anxious to follow in their footsteps. Therefore, we are all confident that Bro. Alan will be able to sail the ship through the year with the same expertise and enthusiasm as his dearly missed uncle did, WBro Ron Taylor. The lodge members were also very pleased to hear from the brethren of St Enoch Lodge No 1288 of Scotland, as ties grow ever stronger with fond memories of their recent visit to Liverpool, they have extended an invite to visit them up in Scotland in 2017. The Charity Steward, WBro Roger Kilshaw gave a very informative talk on the Charities, giving the brethren plenty of options and food for thought for the future of charitable work within the lodge and the administration of fund collections etc. going forward. A delicious festive board awaited us and the WM was thanked for all his hard work whilst recounting all the major events of his year as WM.